HI-Trend, Hawaii's ONLY independant Cartier, Chrome Hearts, and Chanel Eyewear Authorized Dealer, accepting Hawaii vision insurance plans HMSA, UHA, VSP, HMA, etc, Eye Exam, the best Optometrist & Ophthalmologist in Honolulu, Hawaii. Maui Jim RX! 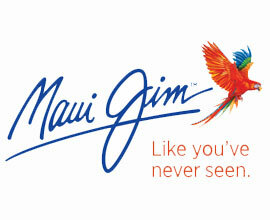 Order your Maui jim with prescription at Hi Trend. HMSA, UHA, VSP, HMA, Hawaii Laborers'Health Welfare, HMAA and UnitedHealthcare. Tom Ford Dealer! You can also schedule your EYE EXAM with us. 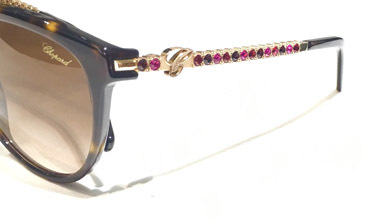 Get inside info on Chopard, Cartier, and Chrome Hearts frames! Request submitted! We will be in touch soon. The temples of this collection are made of BLACK CRYSTALS (DONE BY HAND), PRADA LOGO ON TEMPLES. Timeless & Glamourous designer sunglass will enhance your personality.This design is unique and no other manufacturer of eyewear even comes close to this striking design.. These classic frames in shiny black acetate are the height of elegant style. Embellished with rose-gold-coloured details and sparkling crystals, these feminine frames are perfectly complemented by graduated smoky lenses. Black pearled, rectangular, full-rim frame, specially tailored for women who wants to look trendy and fashionable. We just received NEW Eyglasses collection from Dior, and already sold few pairs. So, if you like this tample, hurry up to Hi Trend! Givenchy name logo on metal plaque on temple makes an immediate style statement. If your style is Classic, Stylish Designer, Unique or Retro-Vintage, you must have this frame, made of the finest materials and with extraordinary attention to detail. An antique finish and snake-effect leather inserts on the Lanvin temples provide an original interpretation of the classic elegant model. Swarovski crystals at the titanium temples makes this model irresistible. If you are a jewelry lover, you’ll adore these suns. Cartier's exotic temple collection - a hand polished rare white buffalo horn templates. This particular pair is so exclusive each dealer needs to bid for the rights to have this frame in their inventory, although it never stays in the case for long. Cartier's signature Panther temples will make a statement when you enter the room - the series is very closely tied with their jewelry and watch collections. No other manufacturer of eyewear even comes close to this striking design. This is the sunglass that made history this year by helping Oracle win the Americas Cup! Limited Edition - Come and get them while you can. The Only Repair & Restoration Optical Service Center in Hawaii! MANY pairs of golf sunglasses!